The Brewery Oud Beersel, which started in 1882, is located in Beersel at 10 km from the Brussels city centre, in the southwest of the capital. It is one of the last remaining authentic lambic breweries of Belgium and well known for its lambic beer brewed along traditional brewing methods. Lambic matures up to three years in wooden barrels, whereupon it is blended to make Oude Geuze. Sour cherries undergo fermentation in lambic beer and after a second fermentation in the bottle Oude Kriek is born. This unique brewing process with spontaneous fermentation is possible in Belgium in the Pajottenland region, the Zenne Valley and in Brussels, because of the presence of a specific microflora. Due to the absence of succession in the family business at the end of 2002, the traditional lambic beers of Oud Beersel were threatened to disappear. Shocked by the loss of this cultural and historical patrimony, the brewery was taken over in 2005 and business was restarted pursuing the principal aim to protect the time-honoured lambic beers, as well as the cultural and historical heritage of Oud Beersel for the coming generations. This traditional brewery of lambic beers is nowadays managed in a modern way with respect for tradition and the métier. The traditional part of the production process of the lambic beers, in particular the spontaneous fermentation, the maturation of lambic in wooden barrels and the mixture of various lambic casks and vintages constitutes the core business of the company. The production process is completed in close collaboration with excellent partners who manage the industrial equipment. By the synergy between the métier and the industry, Oud Beersel offers authentic products of the highest quality. 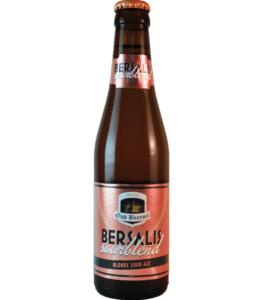 Thanks to the success of the special Bersalis beers, i.e. the high fermentation beers of Oud Beersel, investments are continuously made to optimize the production process, to achieve the most demanding quality standards and to extend the infrastructure for the time-honoured lambic beers of Oud Beersel in order to meet the always growing demand.